Hi, everyone! My name is Darcy and I am the girl behind A Memory of Us. I had a good friend who introduced me to the blogging world during the Summer of 2012. After a year of reading and falling in love with what blogs had to offer, I started my own. The name was inspired by the song "Making Memories of Us" by Keith Urban. Although this blog is mainly focused on my love of fashion and beauty, I also want it to be a place where I can keep track of my personal life. I want to be able to go back a year in posts and see what I was wearing, what I was loving, and also what I was doing. On this blog you will find outfit posts, vacation recaps, weekend recaps, wedding planning advice, gift guides, and more! Now that you know a little bit about the blog, let me tell you a little bit more about myself. I am a Midwest girl in my mid-twenties, currently living in Kansas City, Missouri. I work full time and blogging is my favorite hobby. I got married on April 11, 2015 and am loving life as a newlywed! My husband, Tyler, and I love going for walks on the trails near our neighborhood, trying new Mexican restaurants, and cheering on the Royals. In addition, I love reading, painting my nails, organization, HGTV marathons, and traveling! 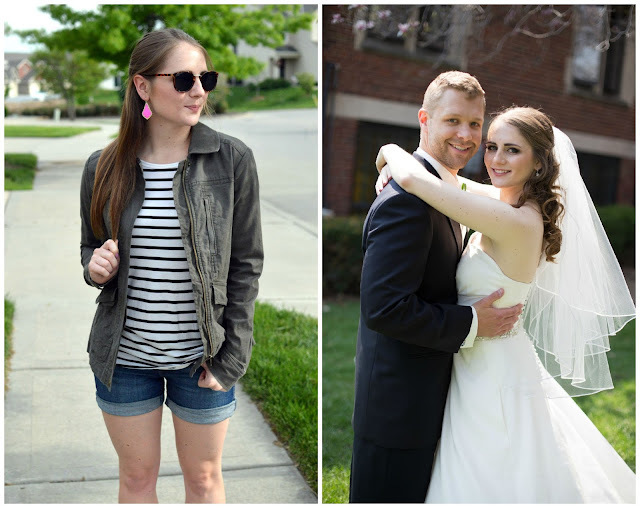 Thanks for following along my blogging journey!